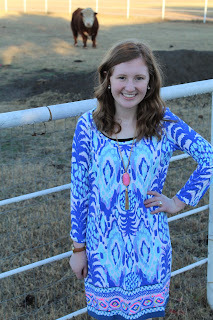 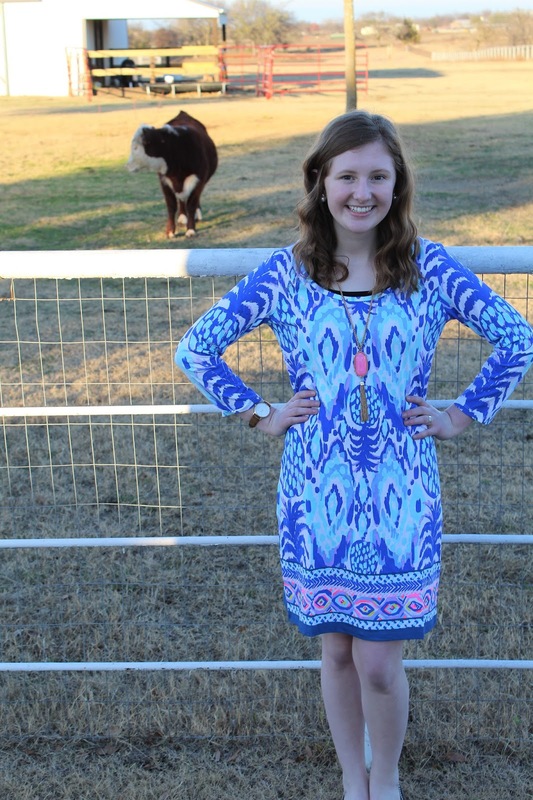 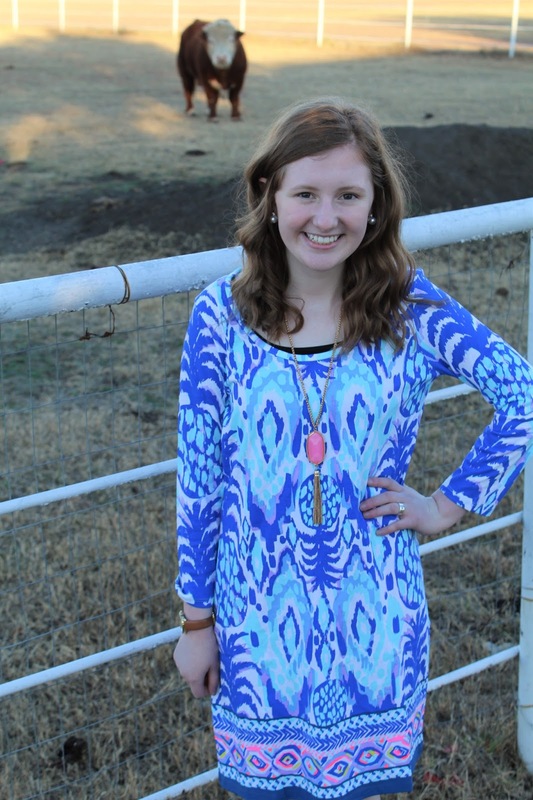 I love printed dresses and I want to wear them all year long! 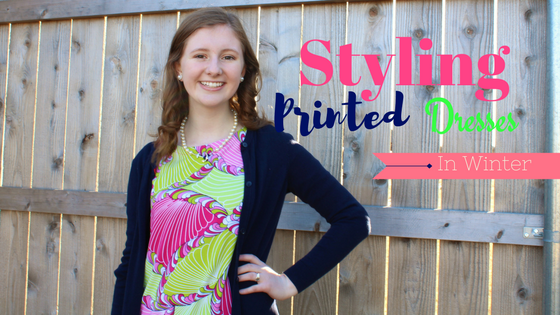 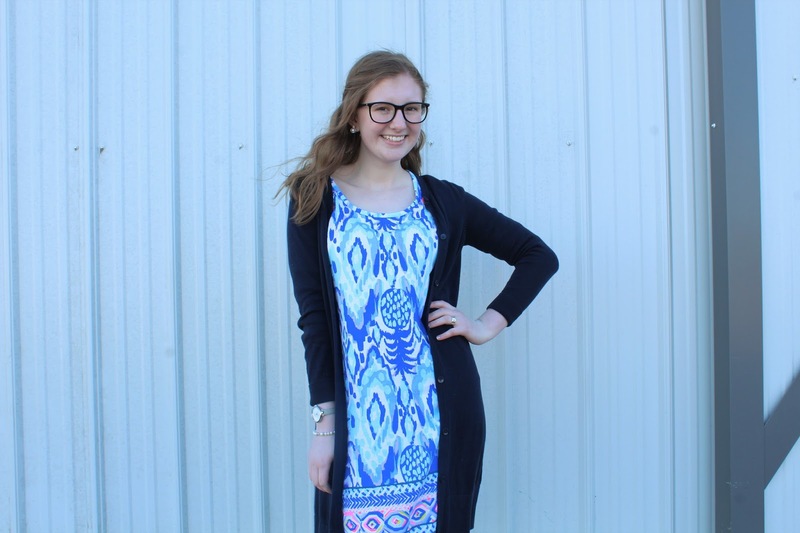 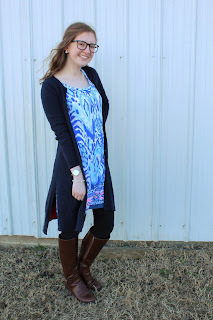 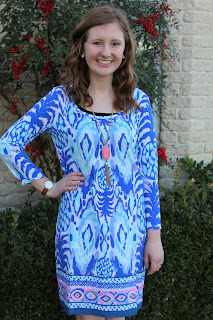 Here are a few ways I style printed dresse so they are appropriate to wear during the winter. This pink and green Crown and Ivy dress is so bright but by adding a long navy cardigan over the top and a pair of brown riding boots it can still be worn during the winter. 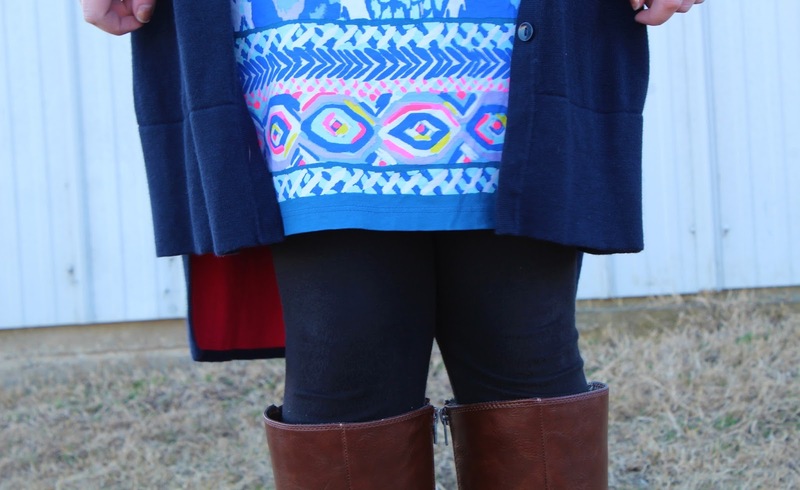 I wore this Lilly Beacon Dress with black leggings, the same navy cardigan, and the same brown riding boots. 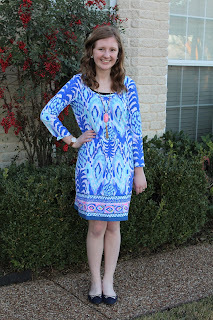 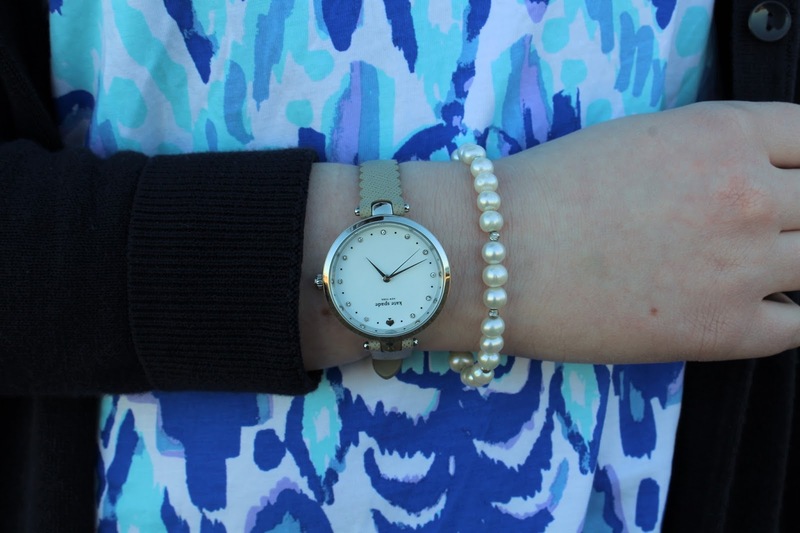 The navy cardigan and black leggings helped to dial down the brightness of the Lilly Pulitzer dress.